Clean lines, light colors and the used materials, such as Finnish wood, ensure that this scratch furniture matches with the popular Scandinavian style of living. 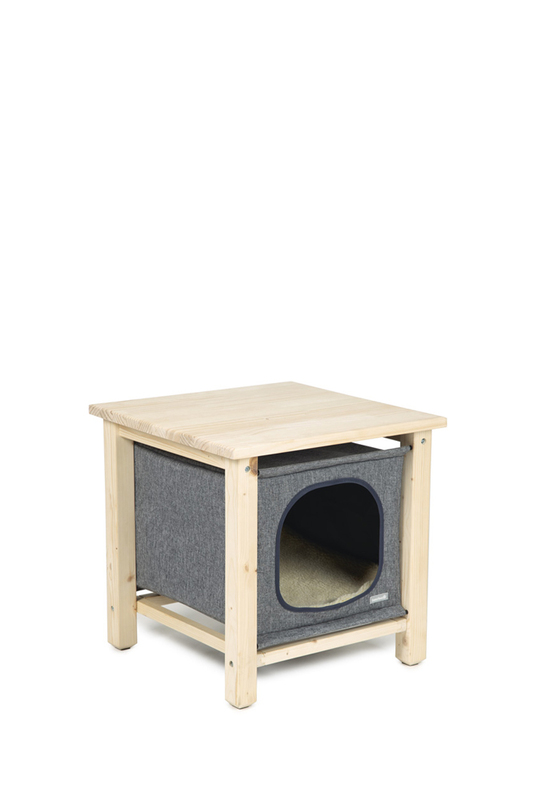 But more important, whatever your preference is, your cat can scratch to it heart’s content with the new scratch furniture from Beeztees. 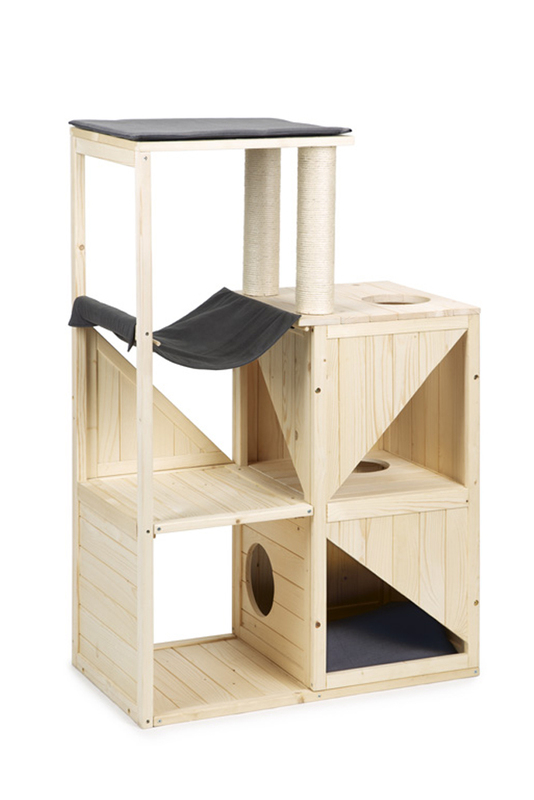 Do you have an ambitious cat, who wants nothing more than to reach the top? Help him or her a hand with these extra high scratch furniture. 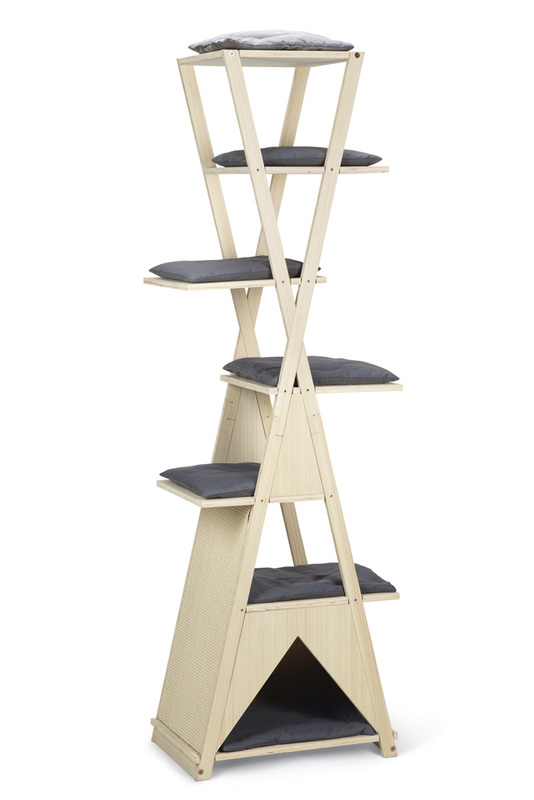 The Beeztees Scratch furniture Mirza is 135 cm high and Montie is even 195 cm high! 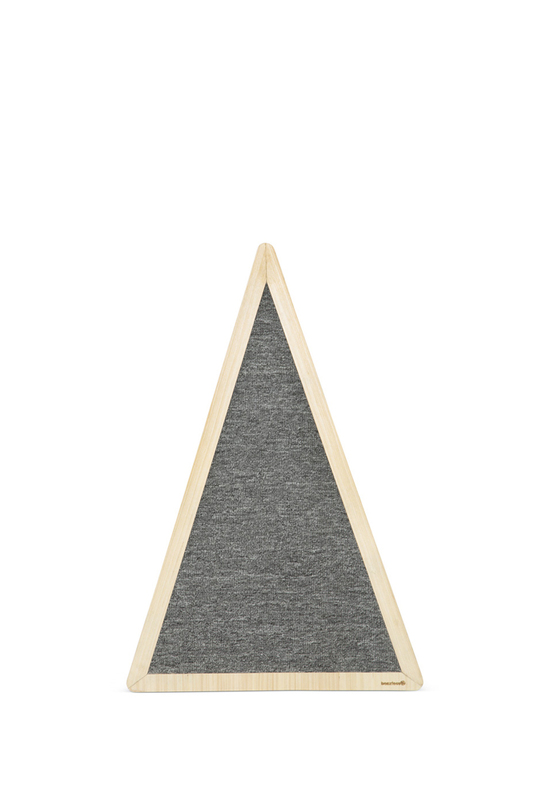 The side walls are equipped with sisal scratch mats and there is a soft cushion on each plateau. Besides scratching, the average domestic cat has two hobbies …. chilling and keeping an eye on things. 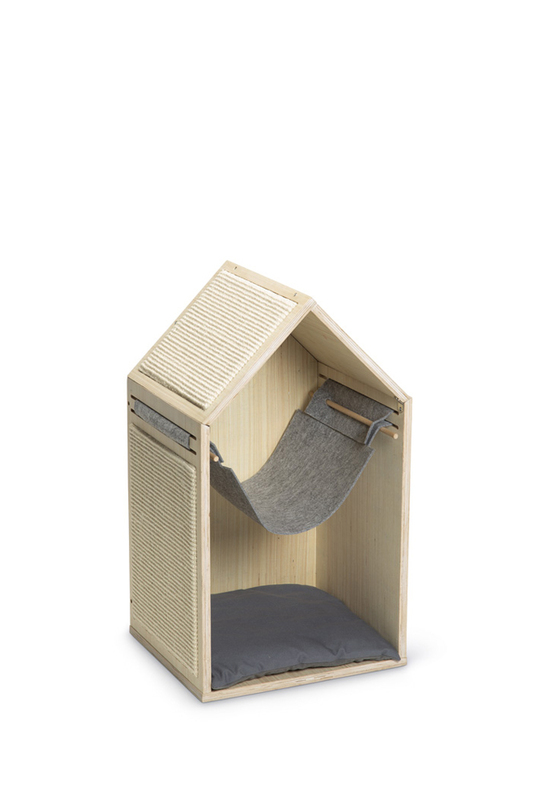 Lounging can now also be done in style. 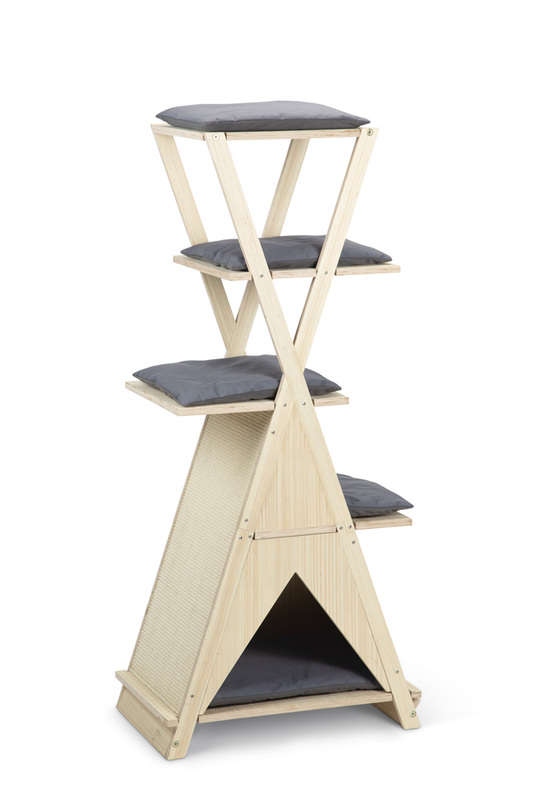 These cat houses are undoubtedly gorgeous in your living room. 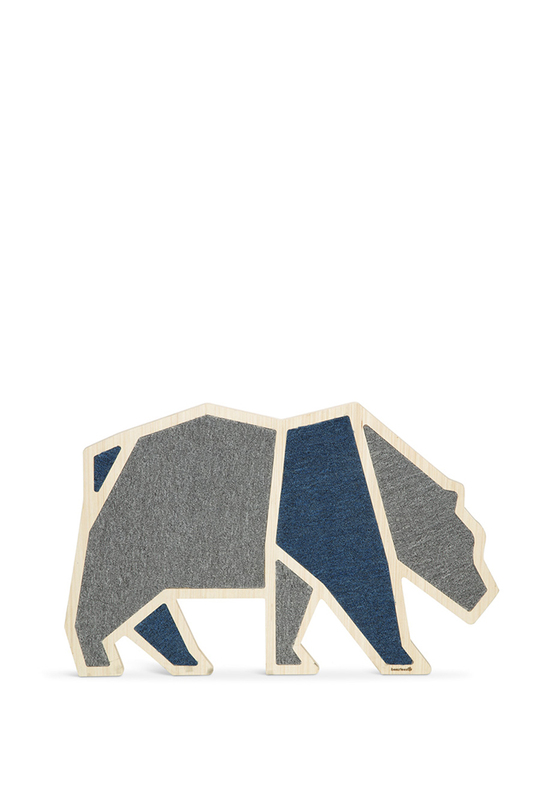 Nice and close to the action, so your four-legged friend can keep an eye on everything. The world of a cat revolves solely around the cat. He or she is the boss in the house. A private place where the king or queen can withdraw undisturbed is not a luxury, but an absolute must! 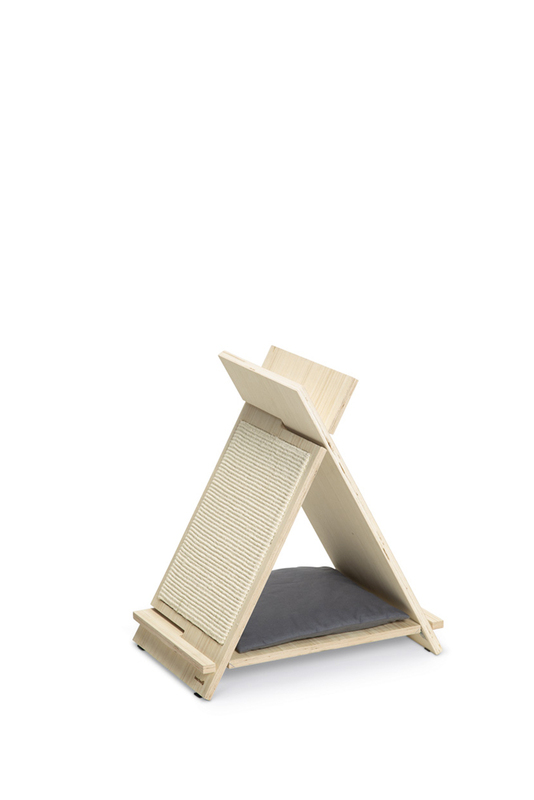 The furniture Pitoux, Brego and Vajra all have a dark spot where your cat can hide. 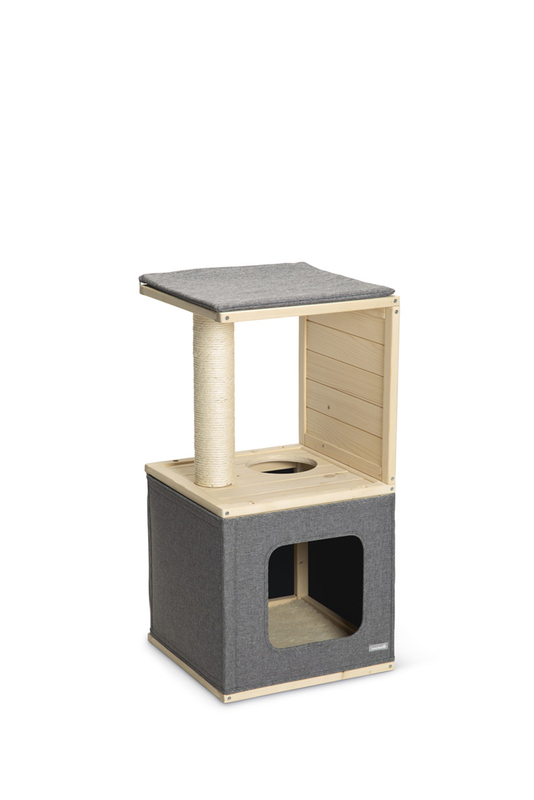 Is your cat palace completely full, but do you just want that little extra for the highness? 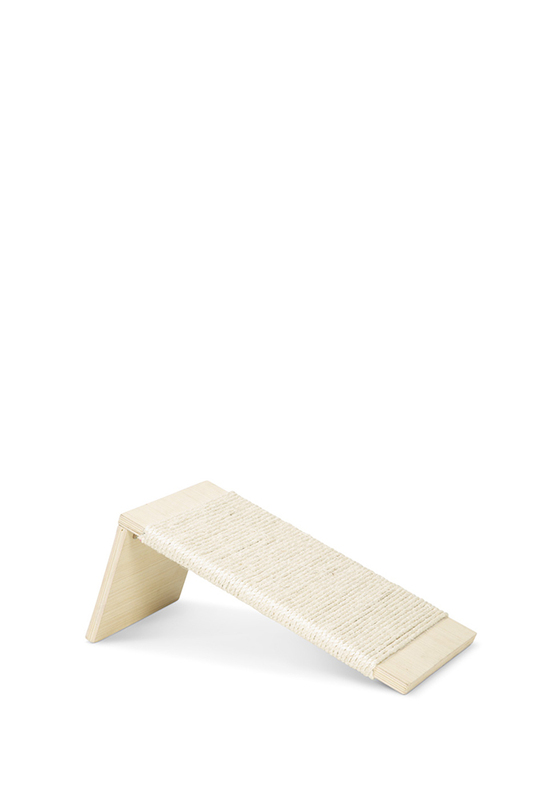 Then these scratching boards might be exactly what you are looking for. Attach them to the wall or simply place them on the floor. Scratch fun wherever you want, whenever you want.